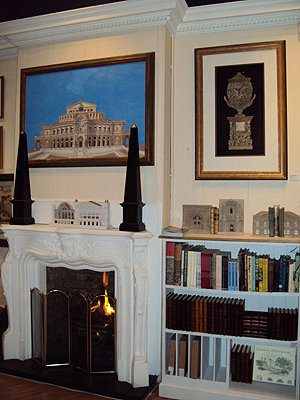 Gallery 19 was established by Gordon French in 1995. 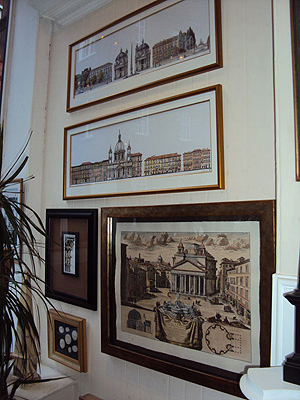 A painter as well as an avid collector of architectural and classical prints Gordon had not found one outlet in London which satisfied his requirements. 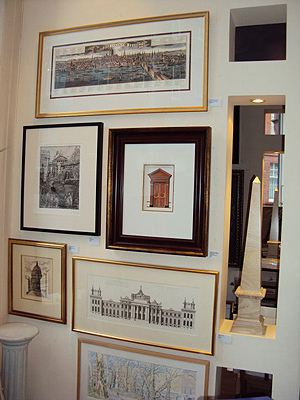 When the opportunity arose to lease the premises on the corner of Thackeray Street and Kensington Court Place, Gallery 19 opened its doors. 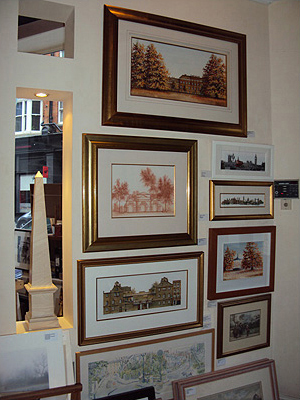 The location of Gallery 19 is of great importance to its character. Thackeray Street, which connects Kensington Square to Kensington Court, is a charming little thoroughfare of independent specialist traders tucked behind the busy High Street. The local community have supported the gallery from the very beginning and, as a result, some of Gallery 19’s defining features stem from its love of Kensington and its community. Gallery 19 has always been a niche gallery with a very particular look. Gordon hangs the gallery with the same ethos he has hung paintings in every house he has ever lived in. In fact, when the gallery opened Gordon’s own house was raided for paintings to fill the walls. In addition to Gordon’s original paintings of Kensington and Italy, Gallery 19 represents a small stable of painters with highly individual yet complementary styles. 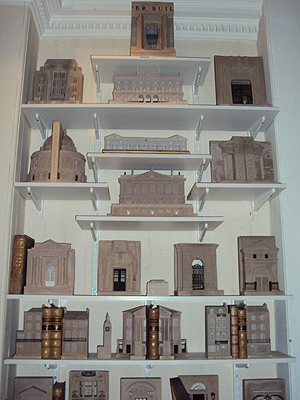 Over the years the gallery collection has grown to include architectural bookends, leather bound journals, house portraiture and out-of-print books on the Royal Borough. 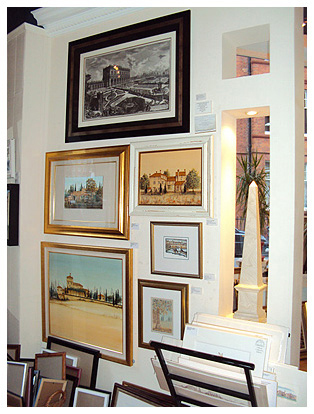 The gallery swiftly responded its client’s demands for an on-site bespoke picture framing operation and in 1996 the basement of the premises was converted into a workshop. 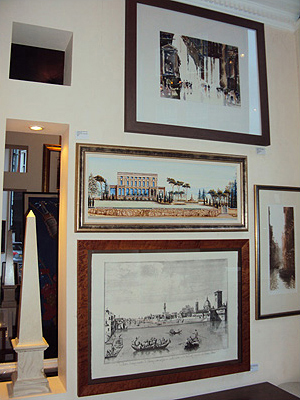 Gallery 19 Frames has grown by word of mouth, specialising in hand-crafted mouldings and tailored to meet the tastes and requirements of its eclectic clientele. 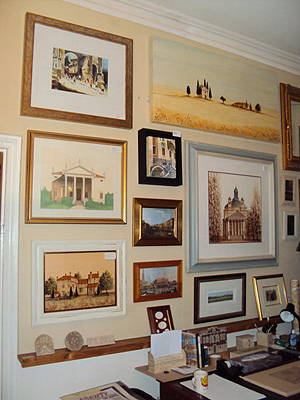 As well as framing Gallery 19 works closely with a number of picture frame, painting and paper conservationists who are highly respected in their fields. Gallery 19’s greatest strength is that it is a family business.